Developing a brand from scratch? It can be an overwhelming task. We work with many early-stage startups—some who’ve yet to even name their company. So we know it can be difficult to know where to begin. Even the word “brand” itself can be intimidating. With thousands of resources available and no one authority on the subject, “brand” is a nebulous catch-all that for some simply means a logo, and for others defines everything about your company, from your name and logo to your location, and even how your employees dress for work. But there’s no getting around it. Branding (in any sense of the word) is vital to market success. So if you’re busy branding your startup, or even if you’ve just been thinking about your brand—where should you start? The R&G team takes a lean approach to startup brand development that’s one-part market assessment, one-part strategy, and one-hundred-percent beautiful design. When the Obie’s team approached us to help them consider their first impression, they were a very early stage startup. They were in the crucial commercialization stage between research and development and market launch. They had developed a great product with a broad spectrum of potential applications, but they hadn’t identified their most lucrative market opportunity, let alone named and branded the company. It was a unique opportunity to build a targeted brand from the foundation up—but first, we had to figure out who we were targeting. We had a product - nutritious and sustainably grown black soldier fly larvae (or BSFL) reared on organic green bin waste and a target market hypothesis. BSFL are a perfect staple diet offering across pet food, livestock and aquaculture feed sectors, but chasing all of these markets at once wasn’t an optimum strategy for a pre-revenue company bootstrapping its efforts. Focus was key—both for operations and for the brand. The most lucrative opportunity with the highest potential margin on the product? Pet food. But which pets? It was down to backyard chicken owners, and people with reptiles as pets. We had a hunch, but it was important to establish which one had the most potential with more to go on than a gut feeling. Through informal conversations with consumers of both types and companies already supplying these markets with similar products, along with in-depth secondary research, we were able to distinguish reality from hype. Iguanas, as it turns out, trump roosters. The reptile owner market surprised us with its size and demographics. Armed with this knowledge, we set about defining the type of reptile owner we hoped to appeal to. Prompt anyone to picture a reptile owner and they’ll probably start imagining a tattoo-covered python owner, but we discovered the stereotype doesn’t apply. Reptile owners are urban professionals with modern sensibilities and deep love for their pets. It was important we built a fresh, exciting brand to match. 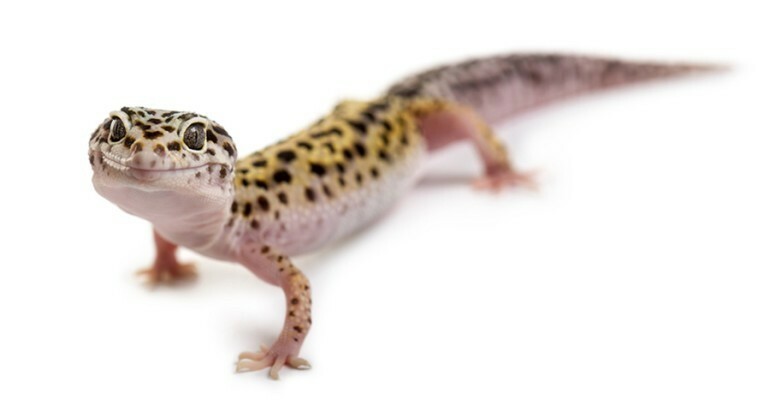 Our team’s inspiration for the Obie’s Worms name came directly from the organization’s then-newly acquired gecko (and soon-to-be-official mascot), Obie. What could be a more apt reflection of the love we knew consumers feel for their pets, than to name the brand after the company’s beloved resident reptile? A great name is just the beginning. Once we’d validated our target market and named the company, the R&G design team began envisioning the ways they might bring the name to life visually, and how each brand element—from brand identity (logo) to product packaging, to external communications tools (everything from an ecomms website to business cards) would connect, creating a cohesive look and feel across every touchpoint. The interplay between all of these design elements in great branding is really where the magic is found. It’s largely invisible and wholly intangible, but it’s what separates good branding from truly great branding. The Obie’s Worms brand has it all. We combined a modern aesthetic for our target with a cheeky mascot motif to reflect the fun consumers expect from pet retail brands. Obie’s Worms are shipped live, so we also completed the brand experience through to unboxing, to reduce the potential ick factor and up the sense of excitement. The result? 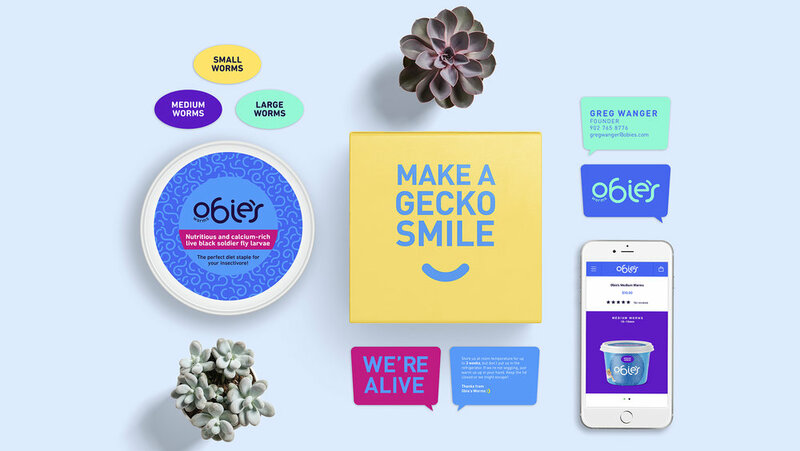 The Obie’s Worms brand won a Gold Ice Award for branding, and was even featured on The Dieline—and most importantly, it’s resonating with Obie’s target market, with customers becoming repeat customers. Are you creating a brand from scratch or in need of a refresh? Get in touch and we’ll help you find the best place to start.